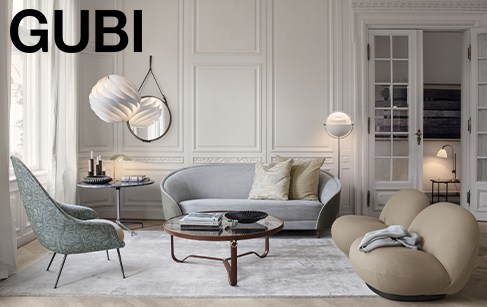 An iconic and varied product portfolio, Gubi has been stating the case for Danish design since 1967. From Bauhaus inspired creations in the 1930s to the eponymous Gubi Collection in the 1980s, or even the 21st Century where collaborations have been made with Komplot Design, Gubi 5, 9, 1 Chairs, Gubi's ultimate aim is to produce design of the highest quality. Take for instance reissues of French designer Mathieu Matégot's Nagasaki series, or Robert Dudley Best's Bestlite Series: BL. Interior solutions in the workspace, the hospitality industry or anything else, Gubi's unbridled desire to meet any need, great or small, is inextinguishable.